We all need more ways to save money on groceries without coupons. For many families, one of their biggest recurring expenses is food. Even if you hardly eat at restaurants, it can be a real challenge to keep your grocery bill from climbing week after week! This is especially true if you have a large family, teenagers in the house, or family members with food sensitivities. Here are a few ways to money on groceries without the hassle of couponing. If you have an Aldi store near you, you can save tons of money on groceries. Years ago, Aldi didn’t look very nice, but in recent years they’ve updated and remodeled most of their stores. They’re great now! You’ll find many healthy choices, organic foods, and more. They have a double-your-money-back guarantee, too. This is the meal planning service you’ve probably heard Dave Ramsey recommend. For a small fee, they’ll create a meal plan for you and send your meal plan’s shopping list over to a local store (like WalMart!) and have your groceries ready for pick-up. They have tons of meal plans to choose from, such as budget, keto, 30-minute meals, etc. It’s genius, and it keeps you from impulse purchases in the store — and from having to drag the kids out. My readers can try eMeals for free (two weeks!) here. Ebates is a cash-back web site where you can earn a “commission” when you when you buy something online. For example, Ebates gives you 10% cash-back on purchases at Walmart. 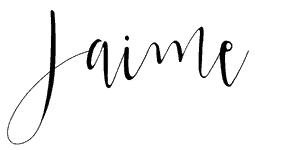 All you do is go to their site, click on a store that you want to shop through (they have TONS of stores listed), and shop just like how you normally would. When you sign up for Ebates through my referral link, you’ll get an extra $10 cash back, too. 4. Reduce your meat and dairy consumption. Consider ways to cut down on your meat consumption. If you normally use a pound of ground beef in your spaghetti sauce, use half a pound. Plan for a meatless meal once or twice a week. Don’t look for meat substitutes — just eat less meat. If you buy milk, buy whole milk instead of skim, and water it down. It will go a lot further and it’s less processed! Ditch the bags of chips and crackers. They’re expensive and they’re not good for you anyway. 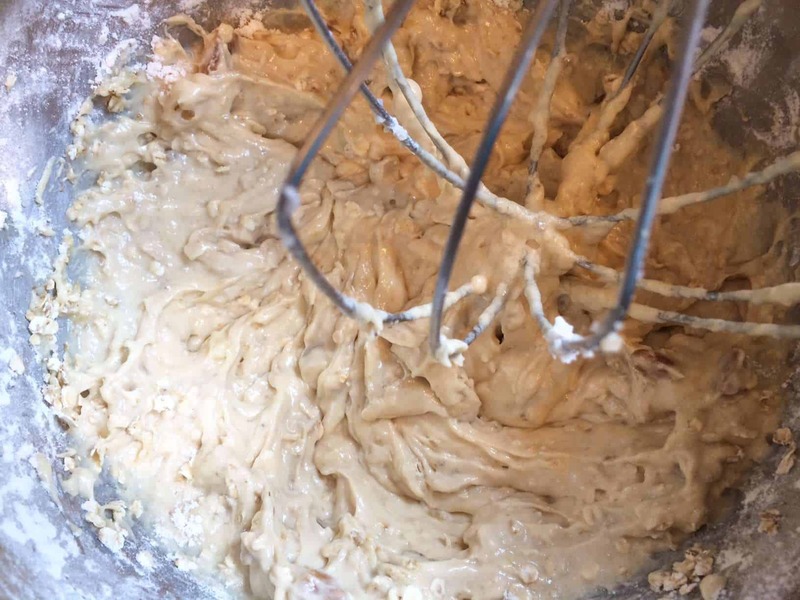 Make your food from scratch. Forgot the sugary soft drinks and juices. Water is good for you and (mostly) free. 7. Whatever you do – have a meal plan. Don’t blindly go into the grocery store without a plan of action. Make a meal plan, and write out your list. 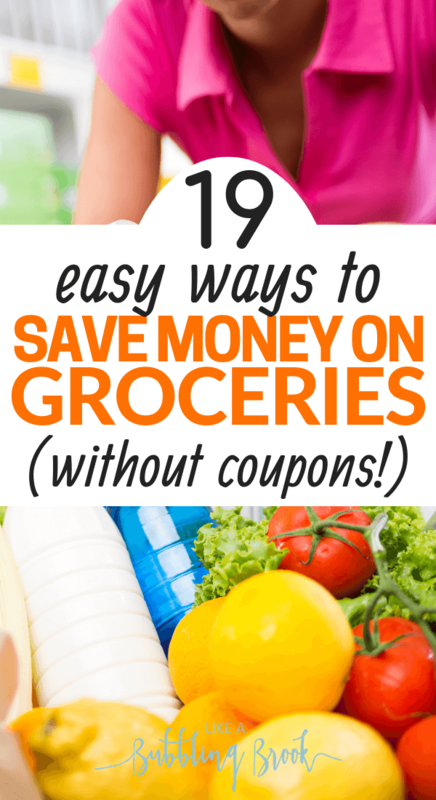 If you want ways to save money on groceries, this is crucial! Be sure to eat before you go to the store, or everything will look delicious to you and your defenses will be low. Buy foods that have protein and will fill you up, not just carbs that you’ll burn right through and be hungry again an hour or two later. Beans are good for you, and pairing beans with a quality rice makes for a perfect protein. I have my Dave Ramsey Bean + Rice Meal Plan here. Be sure to check it out for some delicious recipes! 11. Keep easy meals on hand. Having something simple you can just pull out of the freezer will help you avoid running to a drive through. Some ideas are frozen pizza, chicken pot pie, chinese meal kits, etc. I’ve also been known to grill tons of boneless, skinless chicken all at once (fill the grill! ), then dice it up and freeze it for later. It’s simple to pull it out at the last minute. 12. When you have extra money, stock up. Plan to use extra money that comes your way to stock up on essential items you know you’ll need, like toilet paper, flour, or sugar. We have so much food waste in America. 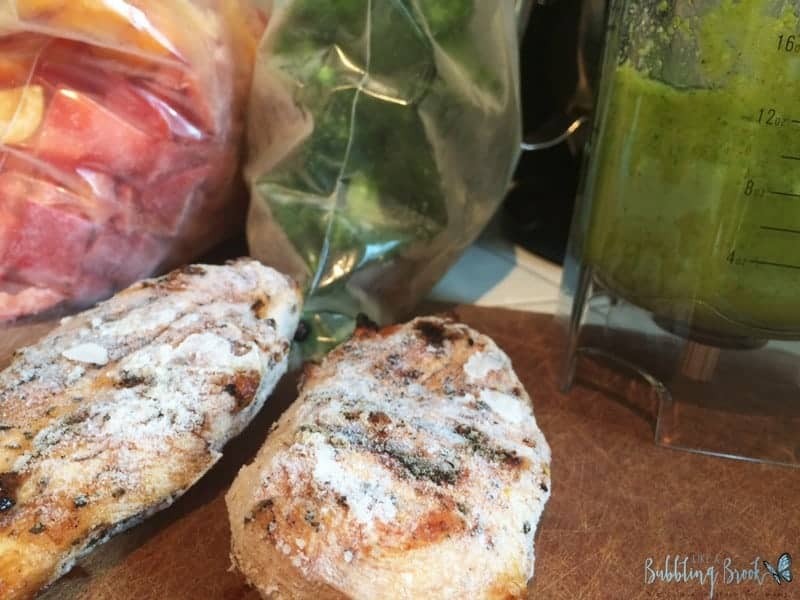 Don’t toss your leftovers; freeze them for later. Store them in freezer-safe containers and clearly label them. Use a rotating schedule and know that each day of the week has a different theme. For example: meatless Monday, taco Tuesday, etc. 15. Volunteer at a co-op or CSA. Check with your local grocery co-op or CSA and see if they allow volunteer work in exchange for food. I know of one family in particular who volunteers to help their local CSA during pick-up time and is rewarded with a free bag of organic produce. 16. Have a leftovers day. Designate one day a week as leftovers day. Pull all the extra stuff out of your fridge and enjoy a smorgasbord! 17. Do a pantry challenge. Once a quarter, do a grocery spending freeze. Don’t buy any groceries that week, and only eat from your pantry. Get creative and come up with new recipes using what you have on hand. 18. Have a regular soup day. 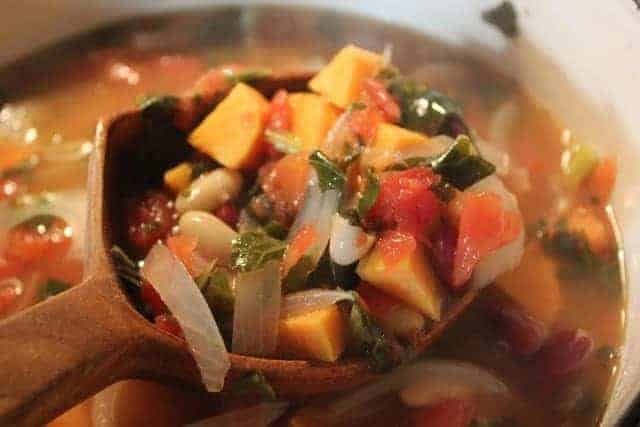 Use the scraps from your veggies, some beans, and a handful of small pasta to make a big pot of soup. It’s cheap and easy. There are so many yummy ways to prepare eggs. We like to hard-boil them using The Pioneer Woman’s method (here); they peel easily. Then we make egg salad sandwiches, which are especially good on my homemade pretzel bread. We have some creative readers here at LABB; what are your favorite ways to save money on groceries without coupons? Any frugal recipes you’d like to share below?